This is two 4-color 8" cement tiles, shown here using Dune, Excalibur, Heron Gray, and Portland from the South Beach Palette. 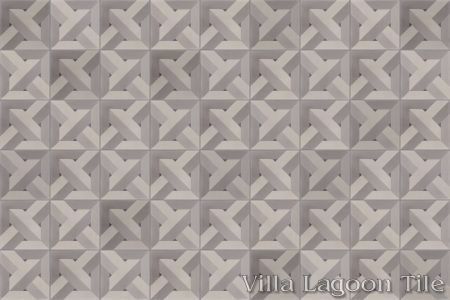 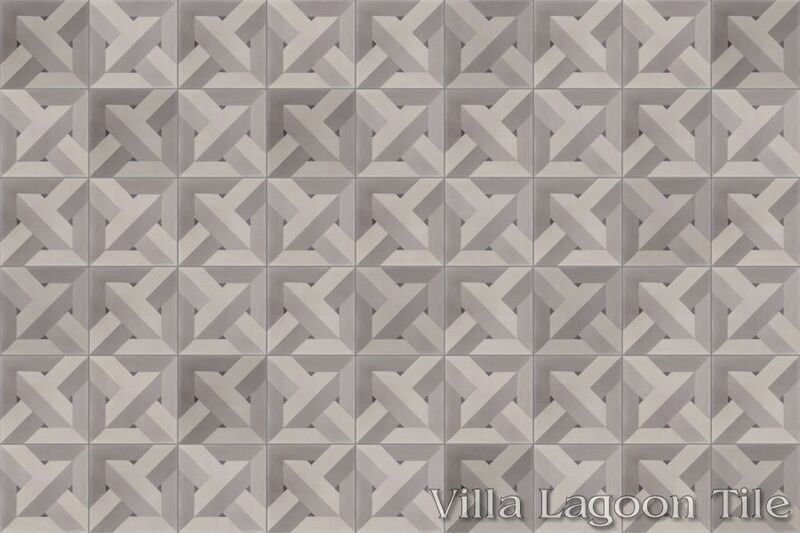 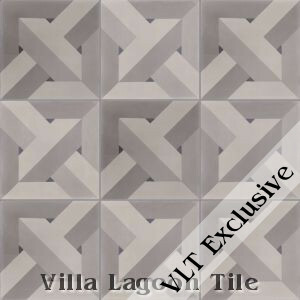 This Villa Lagoon Tile exclusive design brings the classic ideas of parquet wood flooring to cement tile. 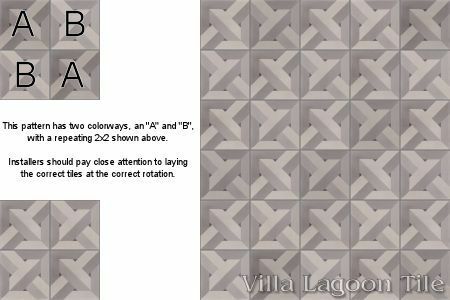 The tile uses "A" and "B" colorways of the same pattern mold to create a remarkable 3D effect.